Please note that we don't sell this bundle. We sell ONLY ID Photo software. The purpose of below description is just to give you info on the bundle components. This is a budget low cost solution. The average cost is approximately 300 USD. Canon Powershot ELPH135 / IXUS145 camera. Canon Powershot ELPH160 / IXUS160 camera. Canon Powershot ELPH170 / IXUS170 camera. Canon Powershot ELPH180 / IXUS175 camera. Canon Powershot ELPH190 / IXUS180 camera. Canon Powershot ELPH185 / IXUS185 camera. 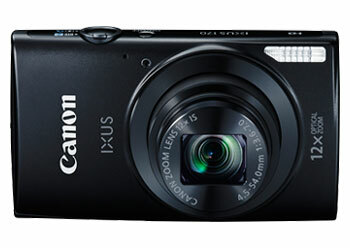 Canon Powershot ELPH200 IS / IXUS190 camera. Use Power adapter for permanent AC power supply of your camera. Using AC Power adapter tremendously improves the work flow comfort and effectiveness. You will not need to change camera batteries from time to time. This camera has no possibility of a direct Power adapter connection. 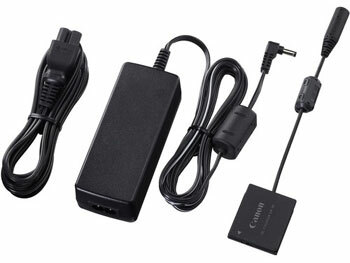 AC Adapter Kit ACK-DC90 for Canon PowerShot ELPH / IXUS cameras consists of AC Adapter and NB-11L format coupler. To connect your camera to AC Adapter Kit and DC Coupler use instuctions of your camera user guide from “Using Household Power” section. Insert the coupler: open the cover and insert the coupler as shown until it locks into place with a click, close the cover. Plug the cord into the coupler: open the cover and fully insert the plug into the coupler. Connect the power cord: connect the power cord to the compact power adapter, then plug the other end into a power outlet. Turn the camera on to use it. After you finish turn the camera off and unplug the power cord from the power outlet. 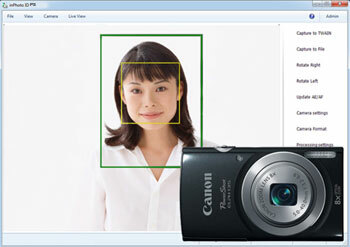 inPhoto ID PS software for for full camera control, automatic face detection on live image, face crop, image resizing and enhancement, save or transfer to ID card software, e.g. to Incardex.